I hope you had a great weekend - and wonderful Easter. 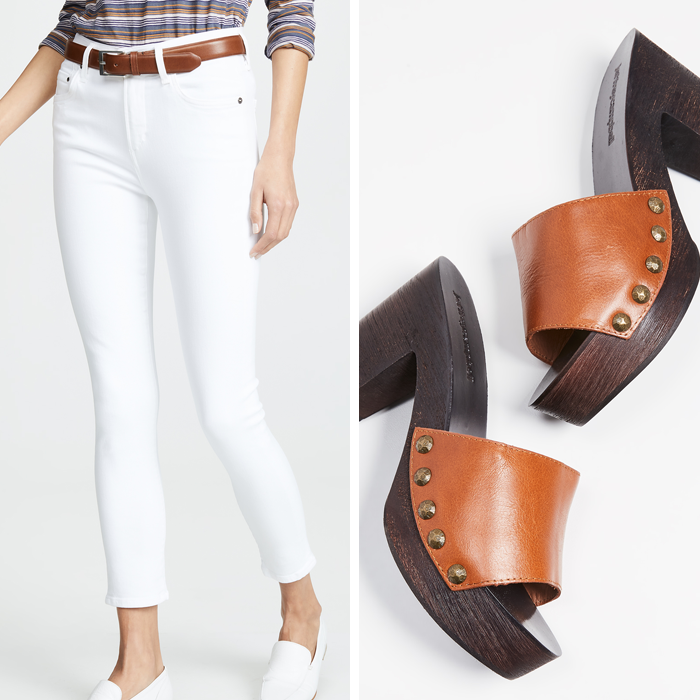 Our temps are supposed to be in the 70s today - so it is time to start thinking of different ways to wear white jeans this spring. If you are looking for a cognac/brown crossbody bucket bag like the one above - I found this one for only $35. 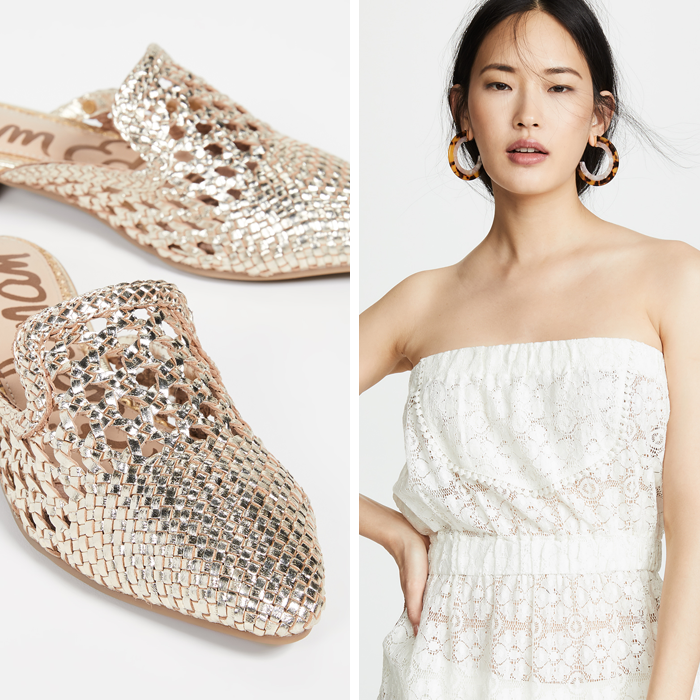 I love these popular slides with a chunky heel. I want to buy these booties. This comfy and casual floral dress on sale for $35. This floral cami on sale for $20. This mini polka dot shirt dress for $35. This pink zip up hoodie for under $20. I just stocked up on two new lipsticks. I love these mini ones. This striped wrap dress with ruffles. Has anyone tried this shampoo? It says it is great for strengthening hair - and making it grow. These leopard skinny jeans for $30. This floral maxi dress for 40% off. This cute tweed skirt for 40% off. This pink scarf is on sale for $10. 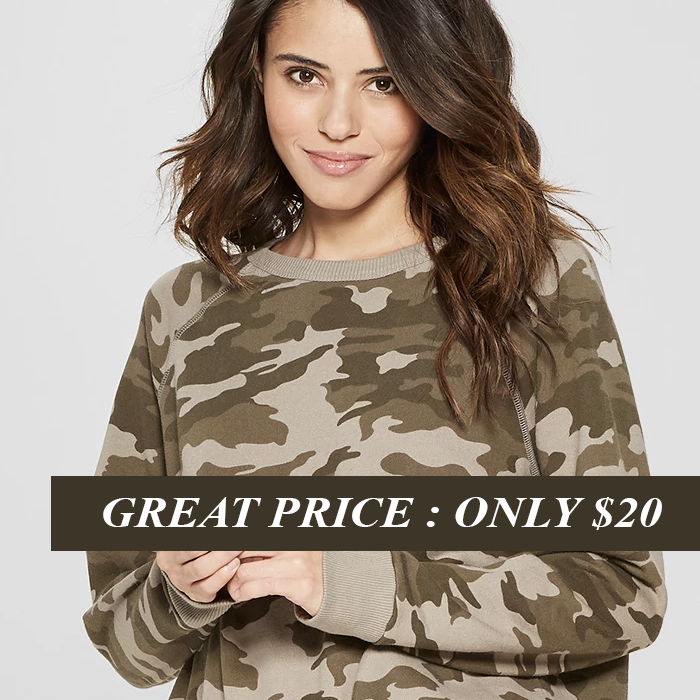 This hoodie sweater - on sale. I love this pinstriped blazer for 40% off. This is the cutest spring jacket. Image Source : Left / Right // I am participating in the following link-ups. On this Easter Sunday, I share with you a prayer from my favorite Pastor and his Easter devotional. You can read the entire devotion HERE. "Heavenly Father, thank You for the gift of Your Son and for the eternal life He purchased on my behalf at Calvary. If I ever doubt Your love for me, help me remember that You spared nothing—not even Jesus—to make a way for me to be with You forever. Help me live in the light of the gospel, dead to sin and raised to new life with Christ. And with that new life, use me as Your ambassador to share the good news of salvation with others. Amen." 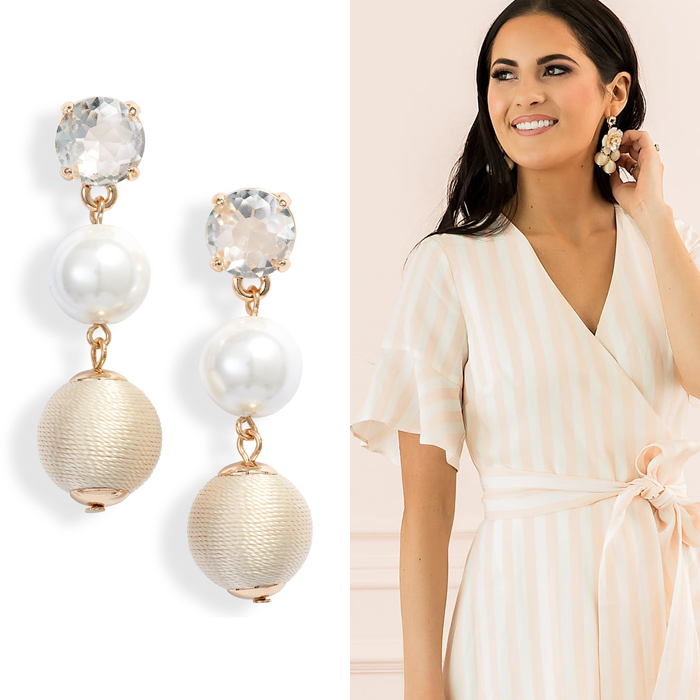 The Rachel Parcell collection at Nordstrom has some beautiful dresses and skirt for Easter. 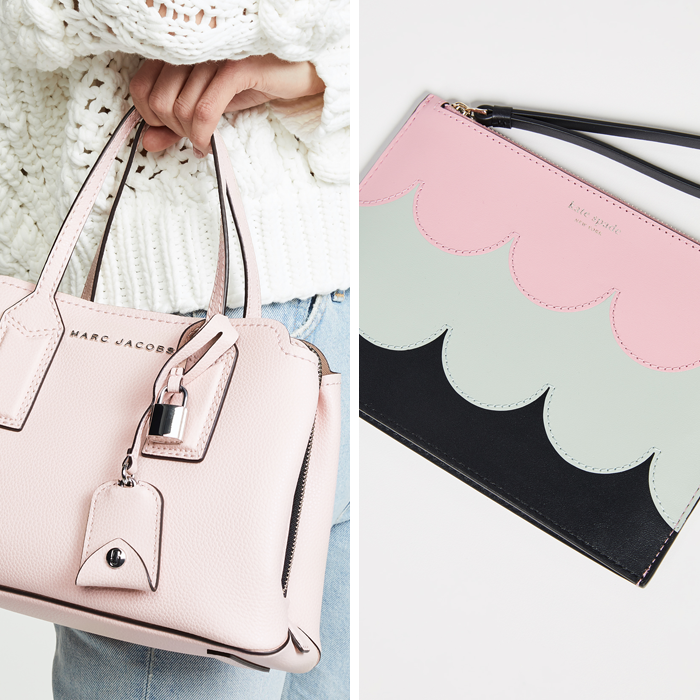 Here are a few pretty pink picks from her latest collection. 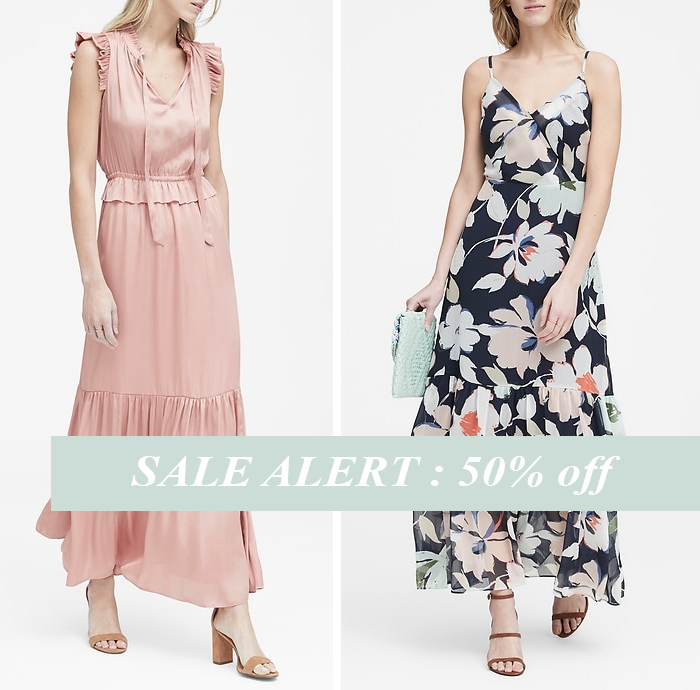 I know a lot of the items sold out on Nordstrom site - but I found some of the dresses (brand new) on ebay. 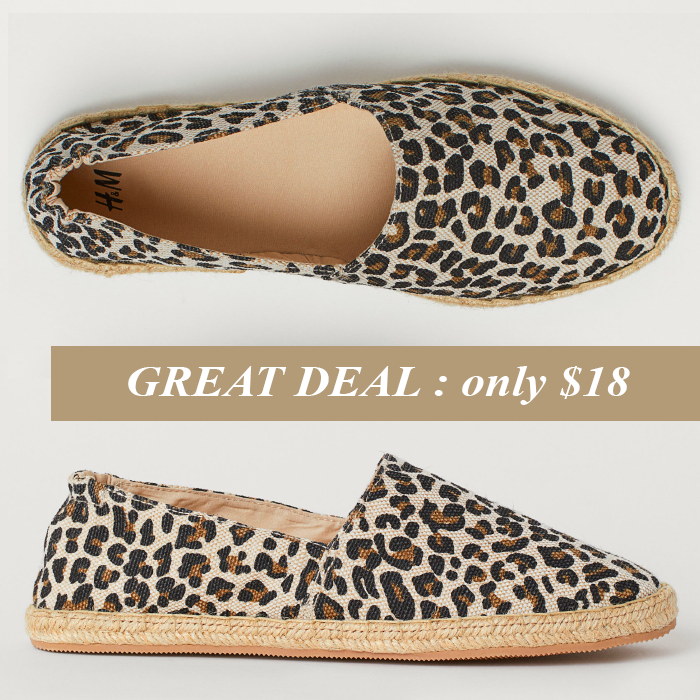 A main reason I started this blog was to be able to share with everyone all the great deals that I find. I wanted to share my excitement of shopping with everyone! 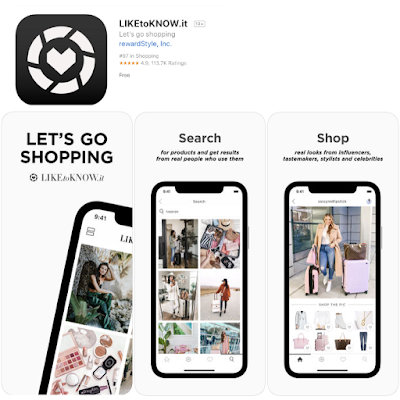 One of the ways I am trying to share this excitement of finding great sales and deals is by posting exclusive content to the LIKEtoKNOW.it app. 4. Like my photos - and an email will be sent with all the product information. It's Wednesday! The week is half over. Camo has been a trend for a few seasons now. I thought it would be more trendy - and go away - but I have a feeling it is still as strong today - as it was when it first showed up. 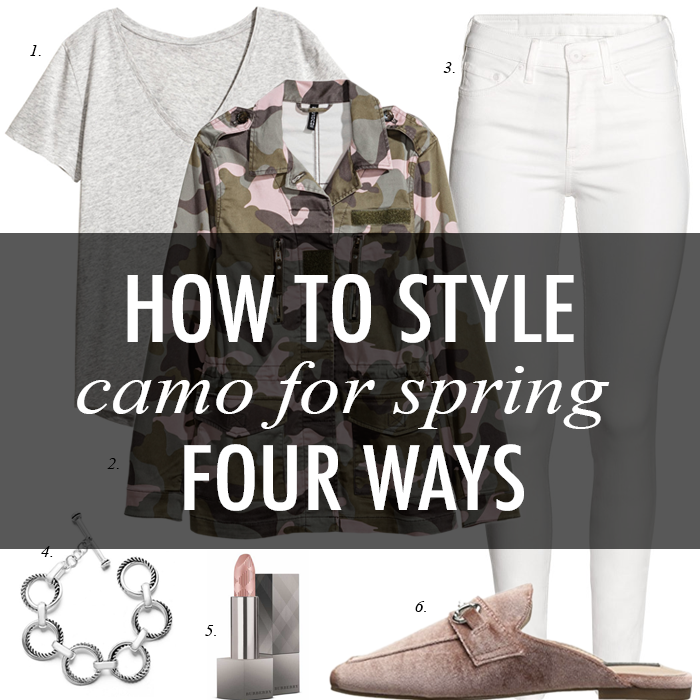 I have styled a few different ways to wear camo. 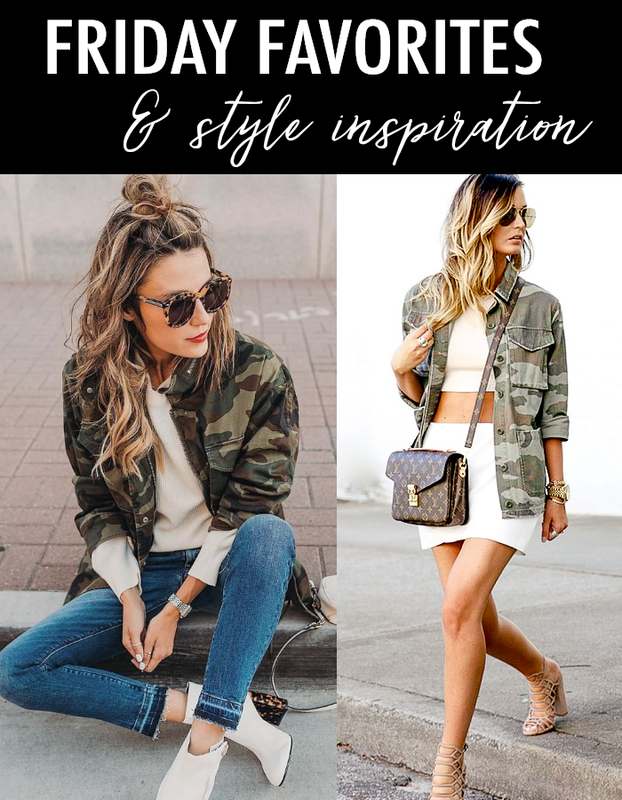 For me, I am not a big "print" person - but I do love camo. I bought a camo puffer jacket this winter - and I love wearing it. 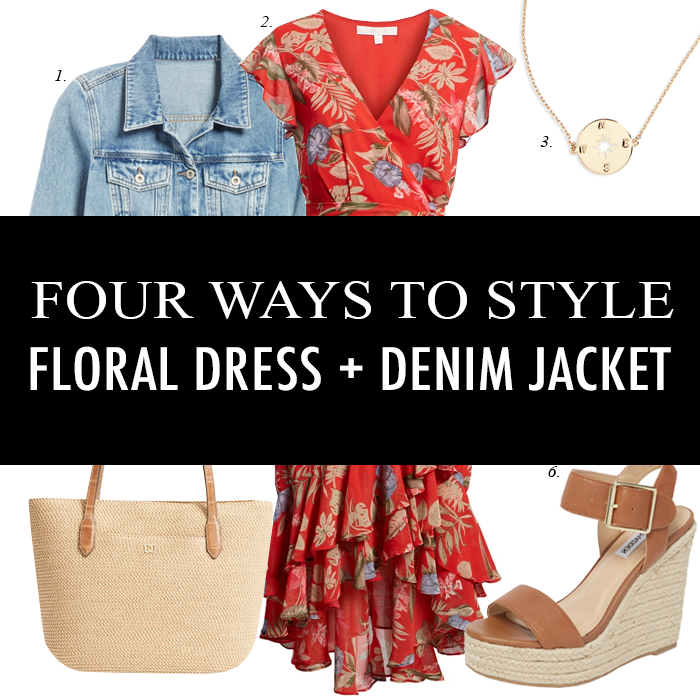 Also, talking about trends - florals are really big this season. 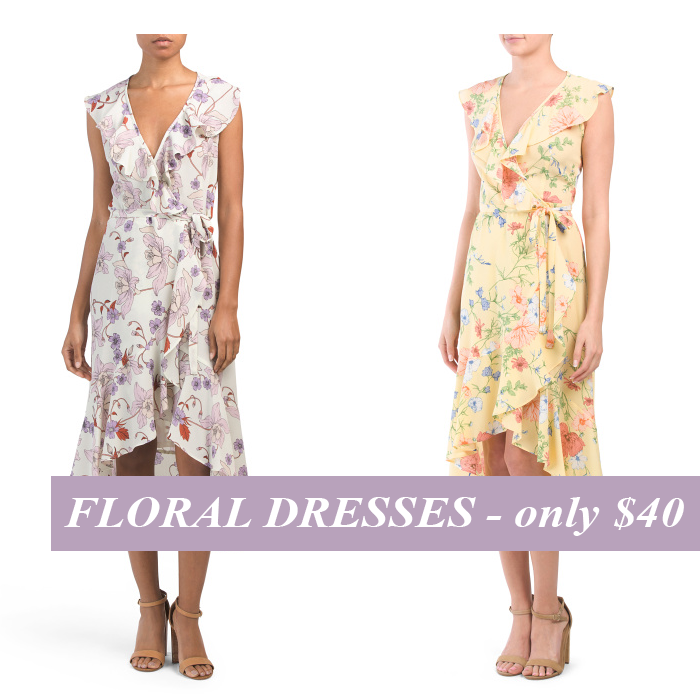 And, I have found some great floral deals. I found this floral scarf that is only $5 - and you could use as a hair accessory or tie around your bag. I also found this pretty pink floral off the shoulder maxi dress - that would be great for a spring/summer vacation - and it's only $25. This is still one of my favorite outfit guides that I put together. 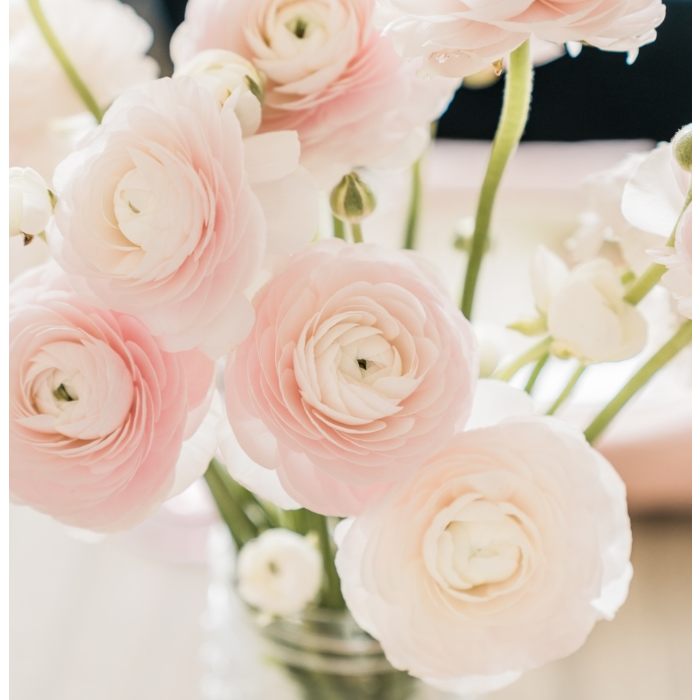 I love the blush, white and grey. 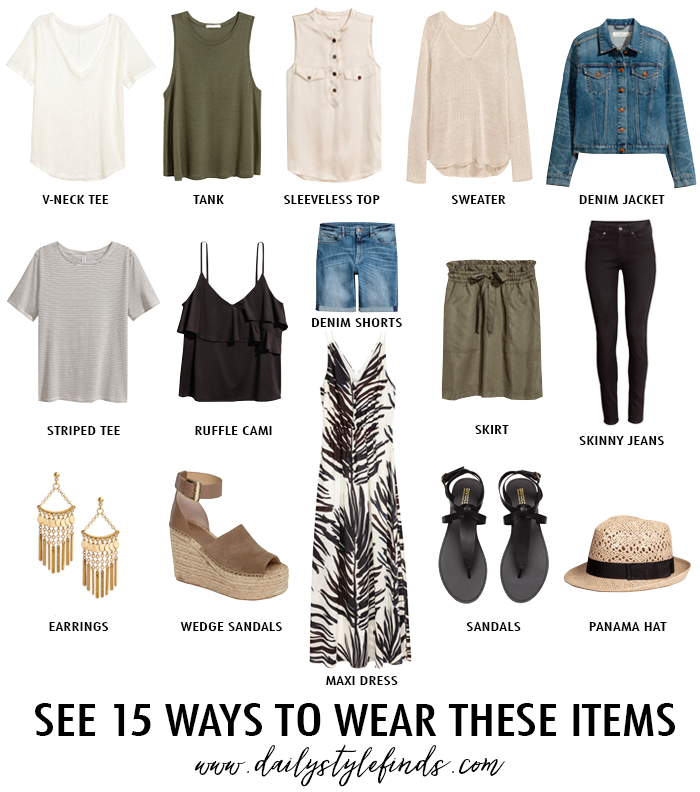 You can see all 15 outfit ideas HERE. 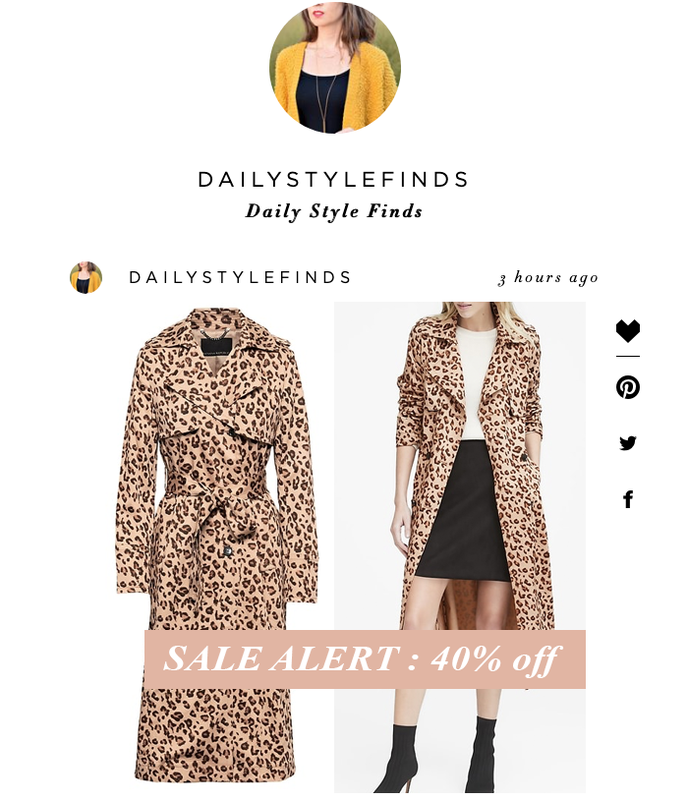 There is a big "Friends & Family" sale at LOFT happening right now - with 40% off everything! There are a lot of great new arrivals - like this floral cardigan that is 40% off. This popular snake print blouse and cami - are also on sale! I want to buy these jeans - I have been waiting for them to go on sale. I hope you are having a wonderful weekend! This look is still one of my favorites. My sweater is only $20, and those are my favorite white jeans. Are you headed on vacation soon? Here is a packing guide I put together. 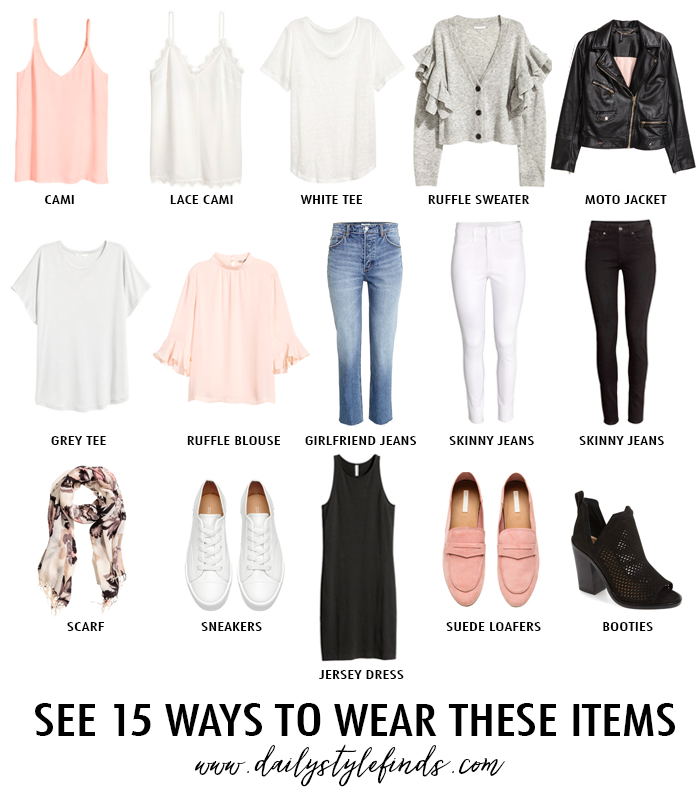 You can see all 15 outfit ideas HERE. 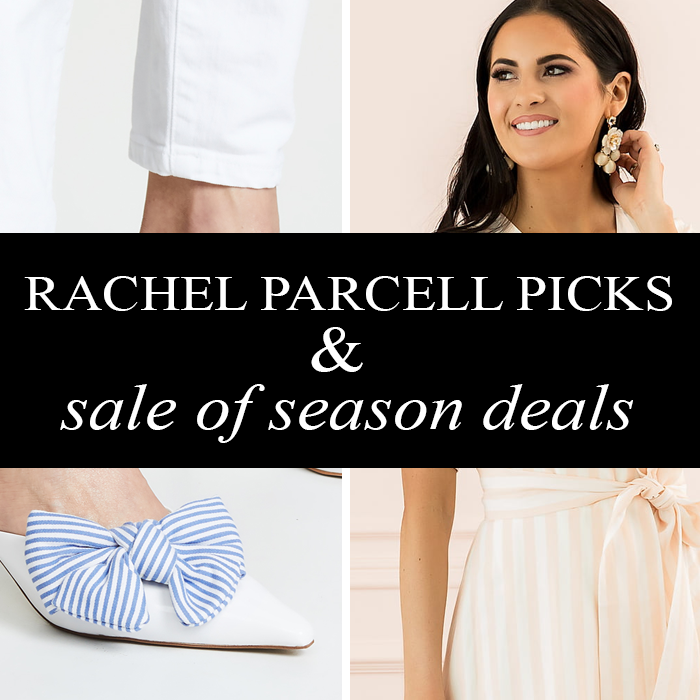 There are so many great sales happening right now. Old Navy has all of its dresses on sale for 50% off. 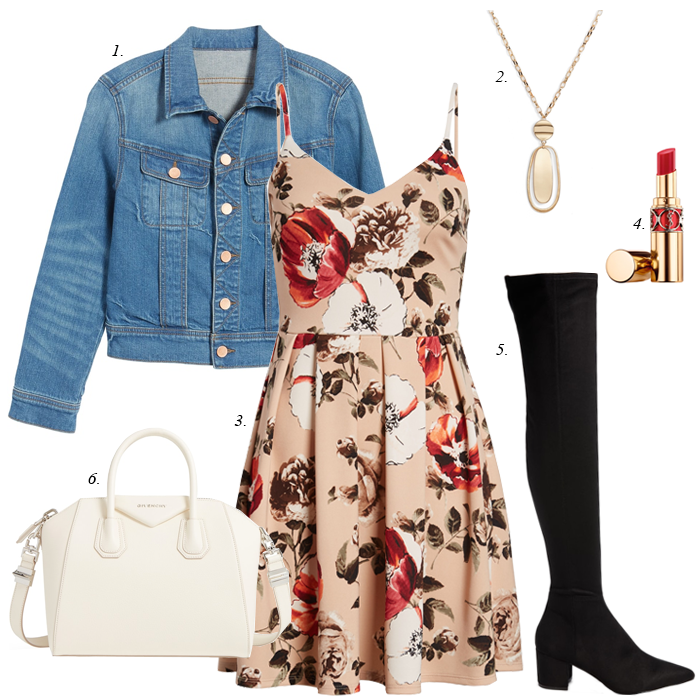 You can get this cute floral sundress for only $12 - and it would look great layered with a denim jacket. My favorite spring sweater is on sale for $13. NOTE: These are my exact favorite White jeans. 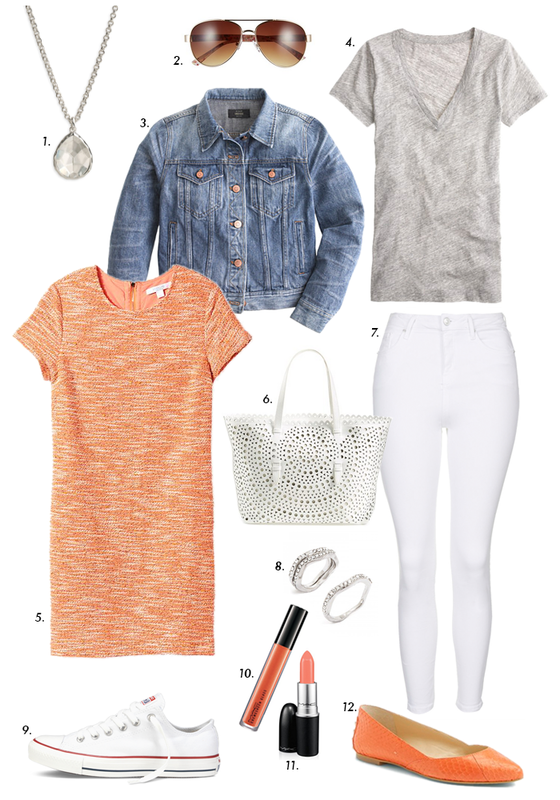 I tried on so many white jeans - and these were my top pick! 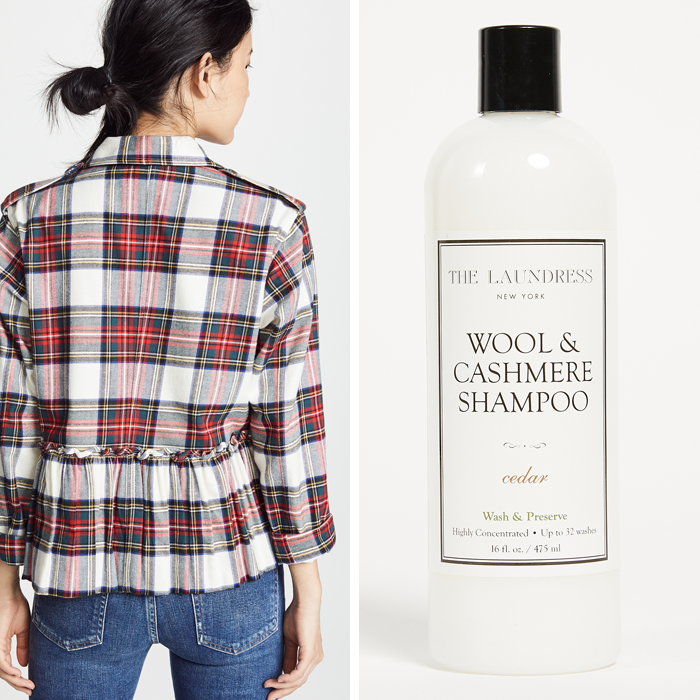 NOTE: I have used this sweater wash - and have loved the way it washed my sweaters! This is a big day! 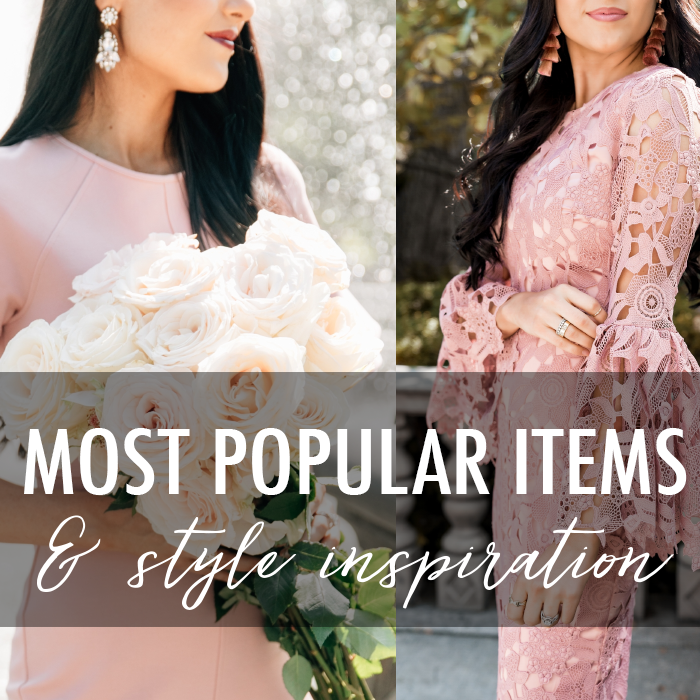 The Rachel Parcell collection at Nordstrom is live to shop. 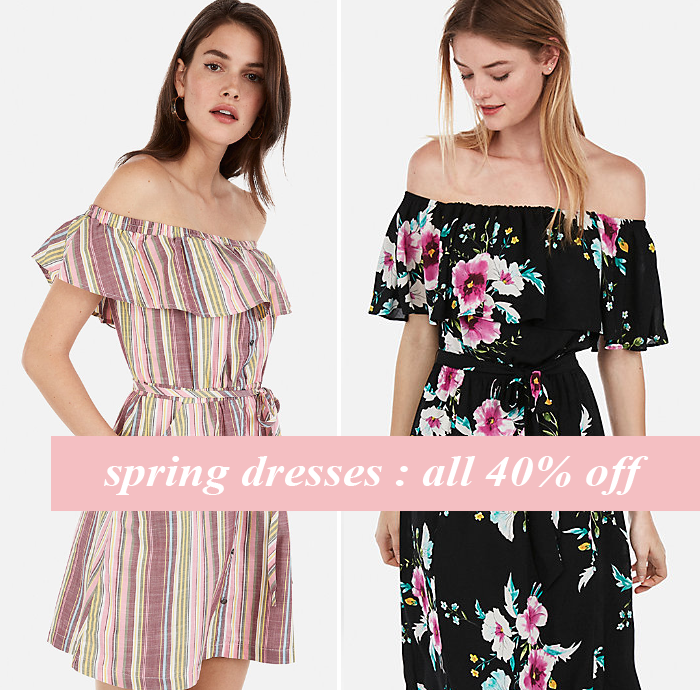 There are so many beautiful dresses for spring and Easter. I have picked out a few of my favorites. I love the white lace dress and the yellow smocked waist dress. They are selling out quickly - so if you like them, act fast - and order multiple sizes if unsure. 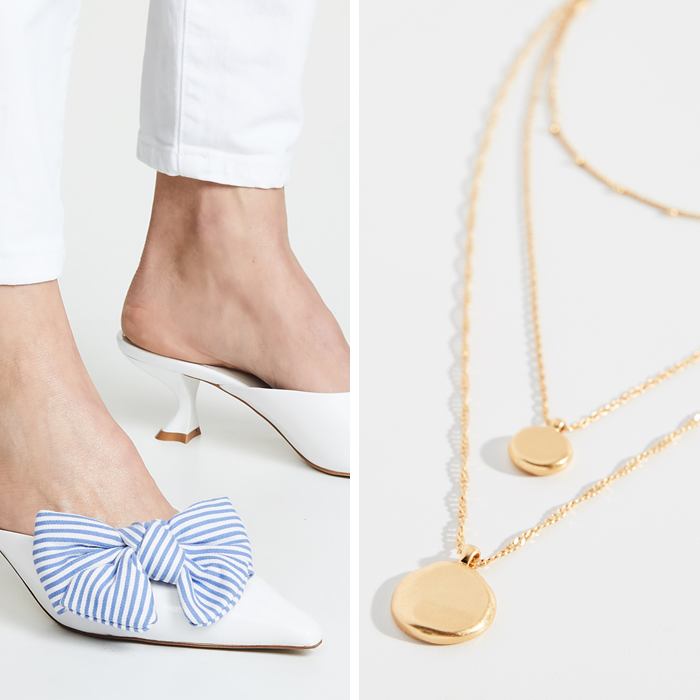 As usual, Nordstrom offers free shipping both ways - so there is no risk in trying them. I have followed Rachel for years - and it is proof of having a dream - and pursing it - and believing that you can do what you have the drive to do. 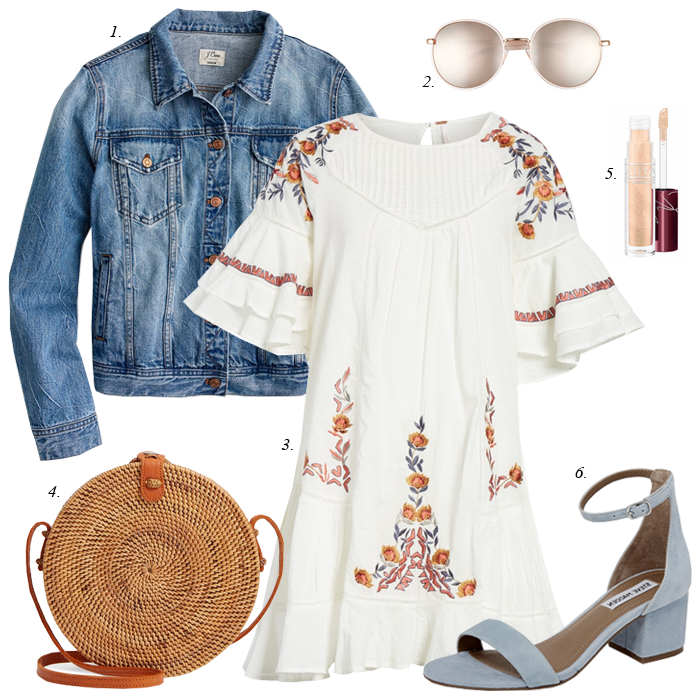 Today, also starts the big spring sale at Shopbop - almost the entire site is up to 25% off, with a few exceptions. My FAVORITE white jeans are on sale. 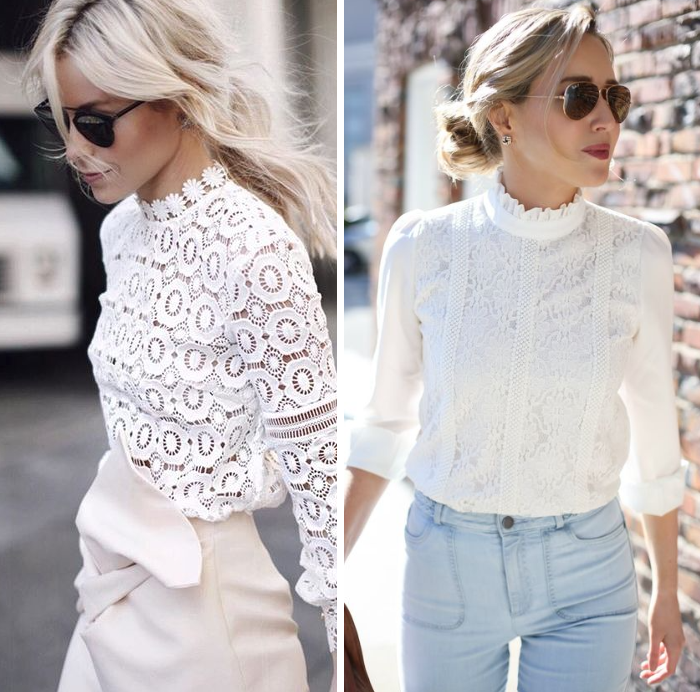 I have tried so many white jeans - and these are by far the best in my opinion. They are flattering and not too thin. There is nothing worse than "thin" white jeans. I have also picked out a lot of great items - some of which are already on sale, plus an additional savings. The sale ends in two days - so shop now - for the best selection. Hope your week is off to a great start! 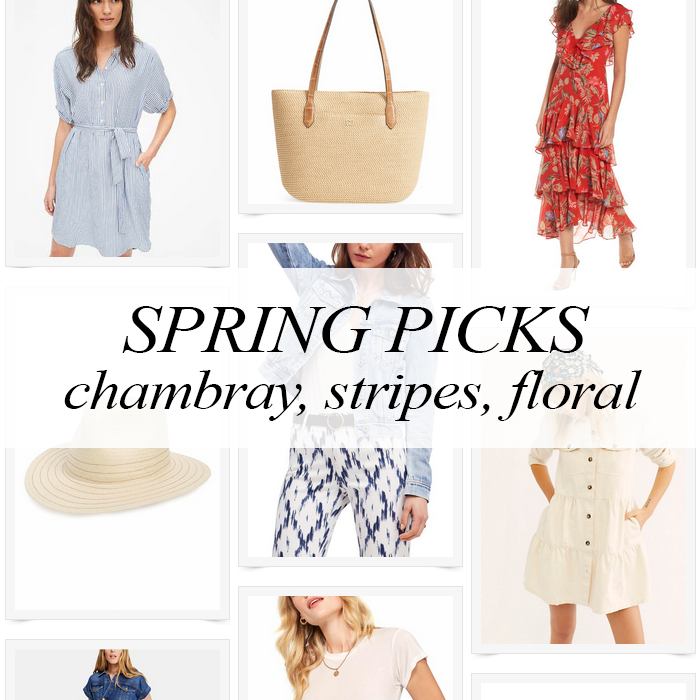 That striped chambray dress is 45% off. 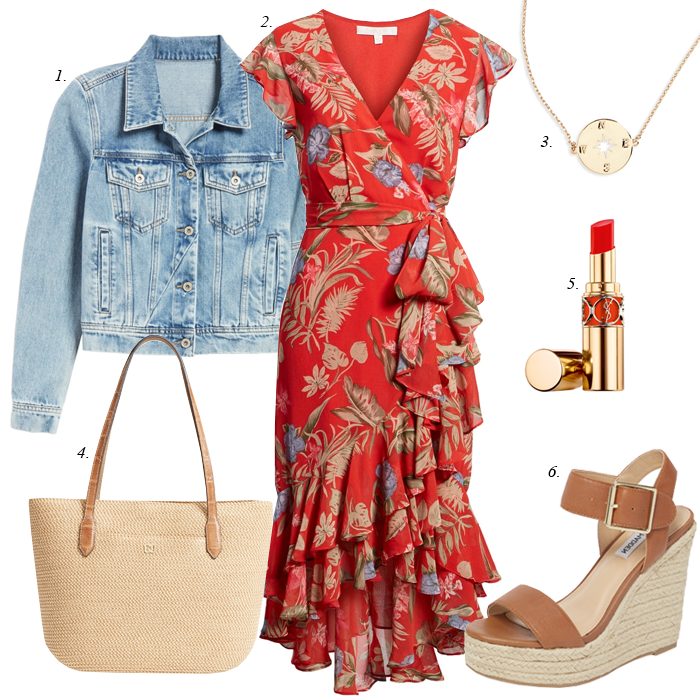 And, that red floral dress is one of the most popular items I have posted recently. 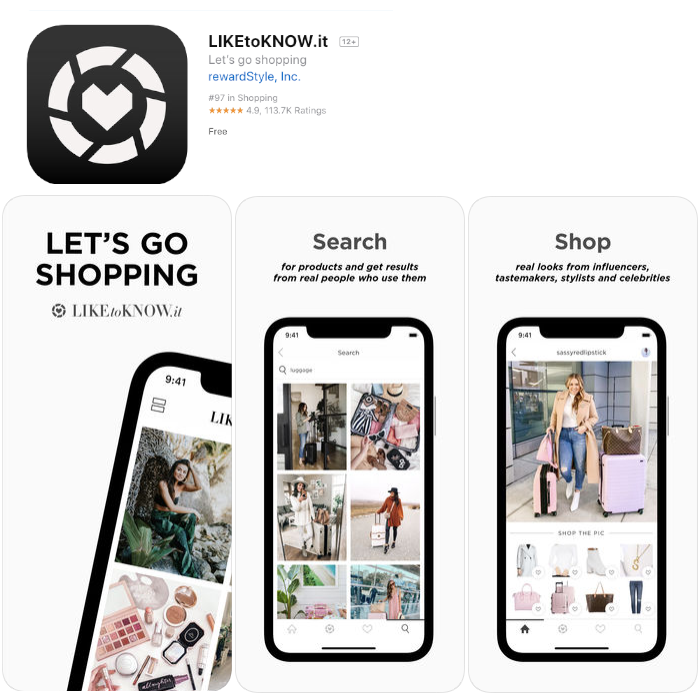 Below is a little shopping "boutique" - all you have to do is click on the image - and it will take you directly to the product information. 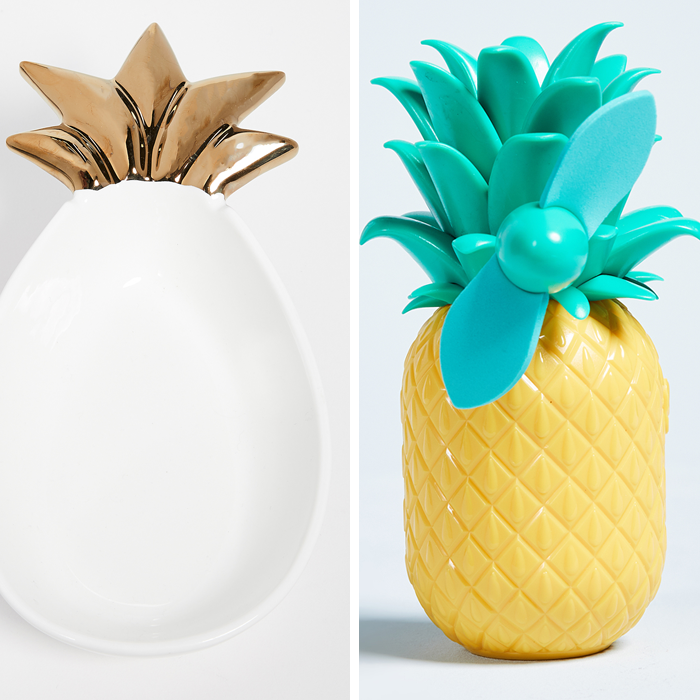 And, as always, do not miss all my daily "finds & deals" at the end of the post!